Manufactured by Industrial Strength using F-1295 implant grade Titanium. 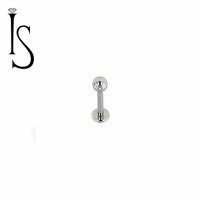 This labret post is made from two pieces, a "one-piece" internally threaded post with a 5mm flatback disk and one threaded ball end. If you want only the post please select "Post Only" from the "End Size" drop-down menu. 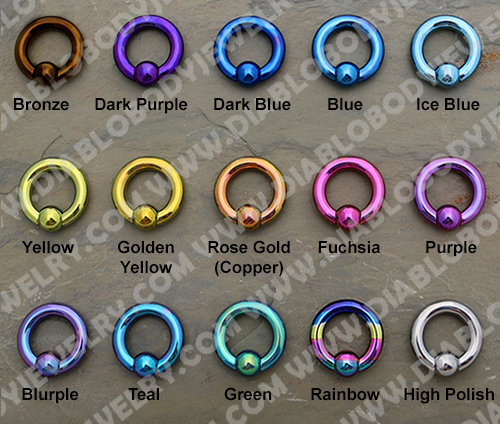 Titanium can be color anodized for a small fee. Length: 1/4", 5/16", 3/8", 7/16", 1/2"
Ball Size: 1/8", 5/32", 3/16" and 7/32"
Select No Ends (Post Only) ( -$15.00 ) ( -$-15.00 ) 1/8" 5/32" 3/16" 7/32"